SPECTRE is a mixed bag; not as well crafted as Casino Royale or Skyfall, but less muddled than Quantum of Solace. There be SPOILERS ahead, so read with extreme caution. Yet, we’re not completely done with Bond’s past in SPECTRE, as the film does try to build on what Skyfall started, filling in more gaps in Bond’s upbringing, never explored in the films preceding Craig’s tenure as 007. In this case, Bond was raised by Oberhauser Sr. alongside the man’s own son (Christoph Waltz), a son who will become Bond’s “greatest” foe due to jealousy that his father treated James better than his own flesh and blood. Whereas Skyfall used Bond’s past extremely effectively to tell a unique story we’d never seen, SPECTRE‘s use of Bond’s past almost feels forced. Does it matter that Oberhauser, aka Ernest Blofeld (duh), was jealous of Bond as a child? Does the head of the organization S.P.E.C.T.R.E. being briefly raised with James Bond add anything to the story? Not really. Blofeld was an effective villain long before this “reboot” of his character and his connection to Bond feels as forced as Sandman’s unnecessary connection to Uncle Ben’s death in Spider-Man 3. Even though the personal element is the key to my favorite 007 villains (Silva from Skyfall and Alec Trevelyan from Goldeneye), it’s simply not necessary to make Blofeld and the organization S.P.E.C.T.R.E. work as effective villains. Daniel Craig behaving with more class alongside a complete roster of MI6 allies isn’t all that makes SPECTRE feel more like classic Bond than any of Daniel Craig’s other outings as the Super Spy. The movie throws shout-outs to classic Bond scenes and villains even more so than Skyfall, giving us a lot of images 007 fans will eat up, but bringing with it some clunky scenes and plot points. The whole production design seeks to recall classic Bond, from the White Tuxedo Craig stole from Sean Connery’s shriveled old body to sets that really recall S.P.E.C.T.R.E. bases and meetings of the old. You’ve at least seen the trailer: the film nails the classic look of cultish S.P.E.C.T.R.E. meetings from the Connery films. Blofeld’s secret hide-out also looks like today’s version of an old set, nailing what we expect from a Bond villain’s lair. Some of these classic elements and images are great! 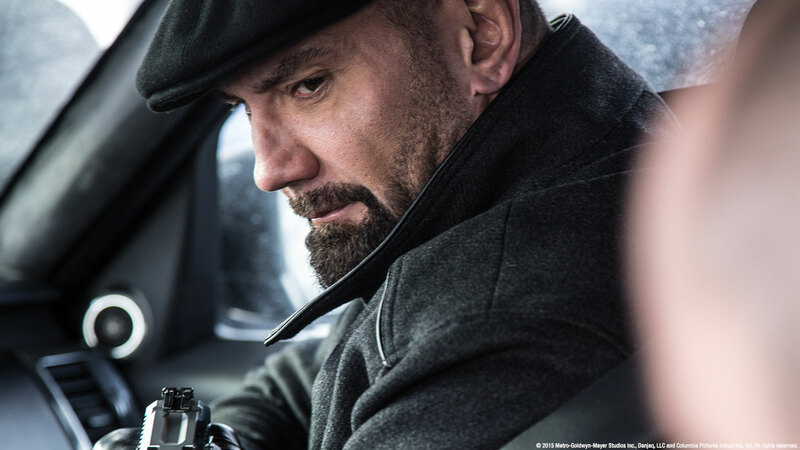 Dave Bautista plays a baddie who would feel right at home fighting Connery; one of the film’s strengths! Likewise, before the reveal that Oberhauser has renamed himself Blofeld, we get to see the classic white cat jump right on James’ lap! How’s that for classic S.P.E.C.T.R.E. imagery? The 1st half the film’s weakness is that the pace and action scenes feel “classic” as well. Gone is the realism and brutality of the action sequences that made Casino Royale, Skyfall… and even Quantum of Solace memorable. The opening action scene with an impressive helicopter stunt is exciting, but it’s not as original as Casino Royale‘s parkour chase, not as intense as the opening car chase from Quantum, or as perfectly over-the-top as Skyfall‘s most impressive 007 film opening ever. In fact, there does come a car chase in the 1st half of the film which feels sluggish compared to the visceral brutality of the aforementioned chase that opened Quatum of Solace. 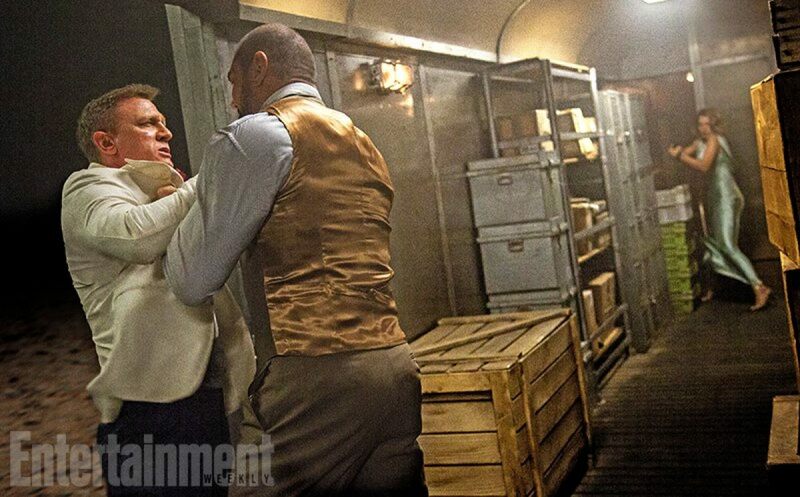 Thankfully, the 2nd half the film brings the action back to Daniel Craig quality, starting with the very impressive fight between the mismatched James Bond and Buatisa’s giant character on the train. 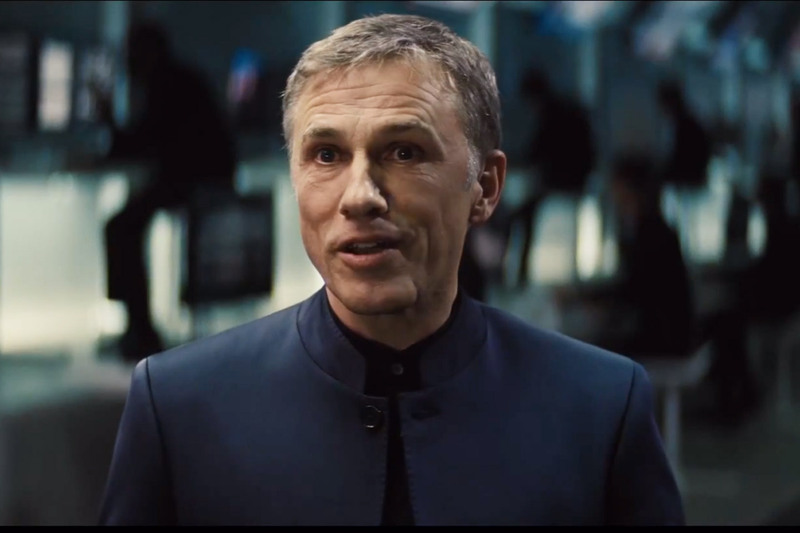 From this scene the film pivots into higher quality scenes all around, from much improved action sequences in comparison to said car chase or the plane chase in Austria, to better use of Christoph Waltz’s talents when he finally reveals himself fully to Bond. Though just as talented as Javier Bardem who played Silva in Skyfall, Waltz seems underutilized in the very same way Sean Harris was in Mission: Impossible – Rogue Nation. Bardem was given plenty of screen time to establish him as a fantastic, eccentric yet dangerous villain of legend, while Bautista is a flat, albeit effective placeholder so that Waltz’s character can lie in the shadows. But, like I said, he spends too much time in the shadows to be truly effective. There’s actually quite a bit in common with Mission: Impossible – Rogue Nation that doesn’t do SPECTRE any favors. In addition to villains that deserved more screen-time but ran shadow organizations (Rogue Nation’s “The Syndicate” is more or less S.P.E.C.T.R.E. ), both films hinge on the plot point that the hero’s spy organization is being shut down with 00 Agents being put out of work in SPECTRE just as Ethan Hunt’s (Tom Crusie) IMF being shuttered in Mission: Impossible. Simply bad timing on SPECTRE’s part. Look, it’s not all gloom and doom! Though I’ve cut SPECTRE down a peg, it’s still an enjoyable James Bond movie, even if it doesn’t live up to Skyfall or the story you could tell based on the film’s namesake organization. 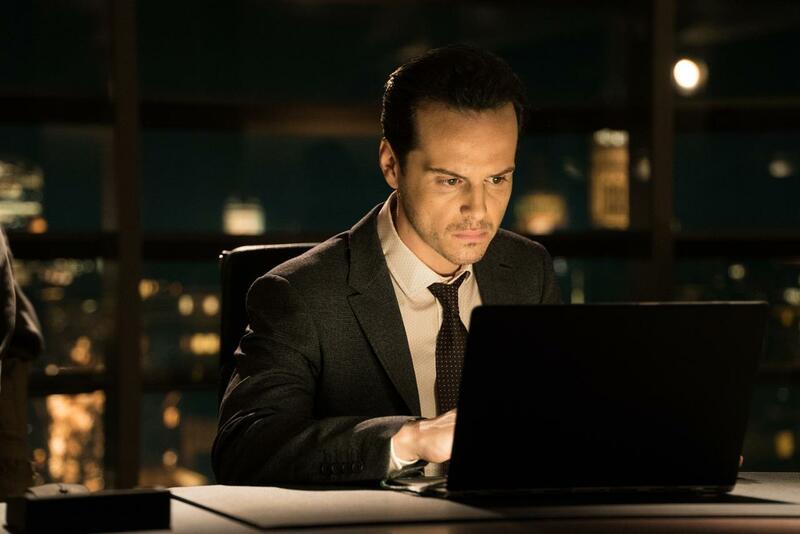 Andrew Scott (Moriarty on BBC’s Sherlock) is brilliant as a sort of secondary villain hidden in plain sight. Blofeld and his organization S.P.E.C.T.R.E. still make for great villains, even neither hits their full potential. And, though forced, it is a cool idea that Waltz is behind all the villains Daniel Craig has faced previously (even if Quantum‘s villain is only mentioned once… barely). Plus, how many 007 films let the villain live? Besides Mr. White? We may be seeing Blofeld again (please!). Definitely see SPECTRE if you like Daniel Craig’s Bond films… or any of the others for that matter! Though SPECTRE fails to reach its full potential, there is still a lot for a Bond fan to love!